It's time to add a fourth pro-life Democrat to the U.S. Senate! Pro-Life Democrat for U.S. Senate Endorsement! As pro-life Democrats, we have only one opportunity this election season to support a pro-life candidate for a U.S. Senate seat, and that is now in Louisiana, where Foster Campbell, a pro-life Democrat, is on the ballot on December 10th! That is why we are endorsing Foster Campbell for the U.S. Senate Seat! The Democratic Party targeted 12 U.S. Senate seats for pick-up in 2016, but they managed to win only two, which is not surprising to us because all their candidates were pro-choice and frequently running in midwestern seats where their positions were out of sync with the values of people they would represent. 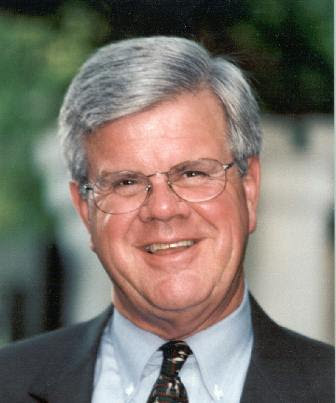 As a pro-life Democrat, I hope you will join me in supporting Foster Campbell, the one U.S. Senate Democratic candidate this election season who supports our values. To learn more about Foster Campbell, you can visit his website at www.FosterCampbell2016.com. IT'S URGENT THAT ALL PRO-LIFE DEMOCRATS SUPPORT FOSTER CAMPBELL! Democrats have one final shot to flip a Senate seat: "Democrats have one final shot to flip a Senate seat -- but in order to pull off an upset, they need to quickly rally around the Louisiana candidate whose victory could be a bright spot in an otherwise dismal year. Public Service Commissioner – and jovial cattle farmer – Foster Campbell will face off against Republican State Treasurer John Kennedy, a twice-failed Senate candidate, in a Dec. 10 runoff. On the surface, it might seem like a lost cause: A Democrat running a statewide campaign in Louisiana in the Year of Trump. On the contrary, though, Campbell has a legitimate shot to upset his opponent the same way Democratic Gov. John Bel Edwards did in 2015." "Local experts give Kennedy a large advantage. On the other hand ... Democrat John Bel Edwards easily won Louisiana's gubernatorial election just last year. Runoff elections are typically very-low-turnout affairs, where strong passions on one side can produce unusual outcomes -- and it's certainly possible that a reaction for or against Trump's election could produce an unexpected one-sided turnout surge. National Democrats are apparently playing down the election, which has received practically no attention at all in the national media. I think that's an odd choice." The Blue Dog faces a flip-flopper in Louisiana Senate race: "On the surface, this race looks like a lock for four-term Republican State Treasurer John Kennedy. The national GOP machine has rolled in to deliver its final kill of 2016, and all the talking heads have gone ahead and called it for him. That sounds familiar, doesn’t it? It wasn’t but a few days ago that people were saying the same thing about Hillary Clinton. Just last year, we heard that kind of talk in a governor’s race that saw Democrat John Bel Edwards pull off an upset victory." We are a Membership organization and exist due to the generosity or our members. Please help us by keeping your membership current. to which contributions are not tax dedcutible. Click here to donate to our conference sponsor fund. Buy Tickets Today for the March for Life Breakfast! We held our monthly conference call with state leaders this past Wednesday. It was wonderful to hear the successes of some of our pro-life democrat candidates around the nation. We wanted to share some of our victories. LA: Sharon Weston Broome is headed to a run off for Mayor of Baton Rouge. MI: Brian Elder defeated a Planned Parenthood endorsed candidte in the primary and won the general for the State House seat. MI: DLFA Member and supporter Victor Celentino won re-election for County Commission. MA: We can now call State Representative Walter Timilty State Seantor-elect. NY: DFLA heros State Senator Ruben Diaz and Assemblyman Marcos Crespo, who led the effort to defeat Governor Cuomo's aboriton expation effort, both won handily. PA: Many victories in Pennsylvania. More on this state in a future e-mail. RI: Numberous victories in Rhode Island. We will have a full list in a future e-mail. Did a pro-life democrat win in your state? Please let us know! Due to the Inauguration, the March for Life in D.C. has been pushed back one week to January 27, 2017. You can purchase your tickets here. the Walk for Life in San Diego, CA. Will You Share Your Talents? Democrats For Life is looking for volunteers. - Are you comfortable with Quicken and can help us keep our books? - Do you have a background in finance to help us create budgets and assist on spending, financial benchmarks, and goal setting? - Do you like doing internet research and can keep abreast of politicians who are pro-life or of abortion legislation in your state? - Are you a good editor that can help us review and edit our documents? - Do you enjoy writing press releases? - Can you help draft newsletters? - Can you enter information in a database such as updating our member lists? - Are you comfortable picking up the phone and calling a member to ask about updating thier membership information and donating? You know your skills, passions, and time available better than we do! Please considering helping and contact Janet Robert at 651-270-4810 or by email at jrobert@mnmicro.net if you are interested.Thanks for all your continued support, and we could not be where we are today without you! Your membership will expire a year after your last donation which was on1/4/2016 for $20.00. Update your membership, purchase a t-shirt and more! We have a new system for purchasing t-shirts, mugs and more. Please click here to visit the DFLA store! Thank you for your continued support to better share our message that all life is worth protecting. With your support we have been able to upgrade to a better database that gives us more opportunities. It provides us a better tracking system to connect with our State Chapter contacts and also those who would like to volunteer with DFLA. There are many opportunities to help. Let us know your talents and how you can help by clicking here! We are so excited about the number of inquires we have received - particularly those interested in focusing on their local area. State Chapter Growth and Volunteer Opportunities. We have had quite a bit of interest in strengthening our state chapters. If you are interested in helping or leading efforts in your state, please click here. More Media Attention for DFLA!